Bracelet of Yarn is new item in patch Phantom of Marboden and this item has ability to get exp from quest increase x5 it's can help you leveling easily until level 249. This guide will show you how to get or use it. Bracelet of Yarn have 2 type. 1.Primary Bracelet of Yarn is beginner item can use for character level 1-100. You can buy it from Npc Magician Shop in Laglamia (shop that's sell Shop Certificate and Bullion) and item price is 50,000 Lime. 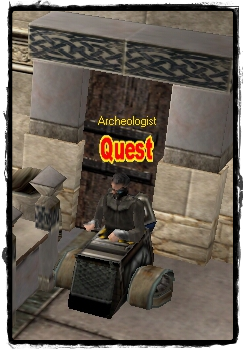 2.Bracelet of Yarn is item for character level 101 – 249 you can get it from quest only, when your character level 101 – 249 Npc Archeologist will show sign Quest as image below. When click at Npc Archeologist you will get item Scroll Quest , you can use it to start quest Bracelet of Yarn. You have to kill Jr.Demiguard on Conqueror Island at Laglamia that's crowded area with monster level 65 – 130 as image below. After you kill Jr.Demiguard will receive item Bracelet of Yarn to your character inventory. 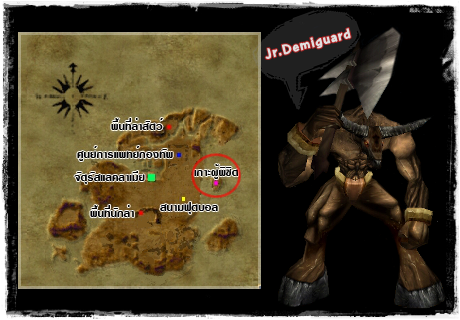 - Jr.Demiguard is boss quest that's have only 1 target on map, respawn time is 2 hour after dead. 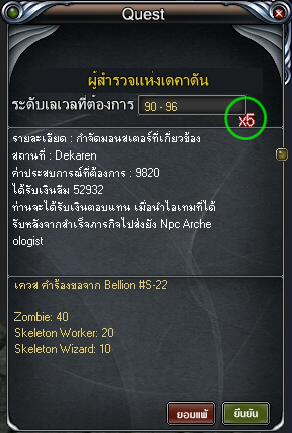 - Character which don't have quest Bracelet of Yarn can't make damage to Jr.Demiguard (HP not decrease). - If you cancel quest Bracelet of Yarn will cannot get this quest again. First time when you get bracelet will cannot use because time to use is 0 time, you need to buy item Yarn's Primary Medal or Yarn's Medal and use it for increase time to use then ability of item will have effect. 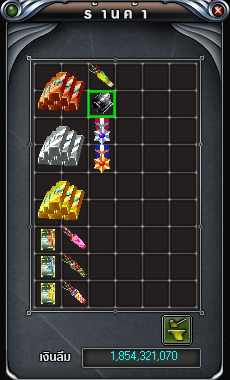 You can buy it from Npc Magician Shop (shop that's sell Shop Certificate and Bullion). Read more detail from table. Use medal by drag into Quick slot 1-6 and use it for increase time to use. When bracelet has time to use 1 time or higher if you receive any quest will appear sign x5 on quest window as image below. From quest above by normally when quest complete will receive Quest Exp 9820 only, but ability of bracelet can make you get Quest Exp x5 with exp 49100. - If you wearing bracelet and receive quest but not show sign x5 on quest window that's mean time to use of item is 0 or your level higher than require level condition item will not show effect.